1.1 oz. 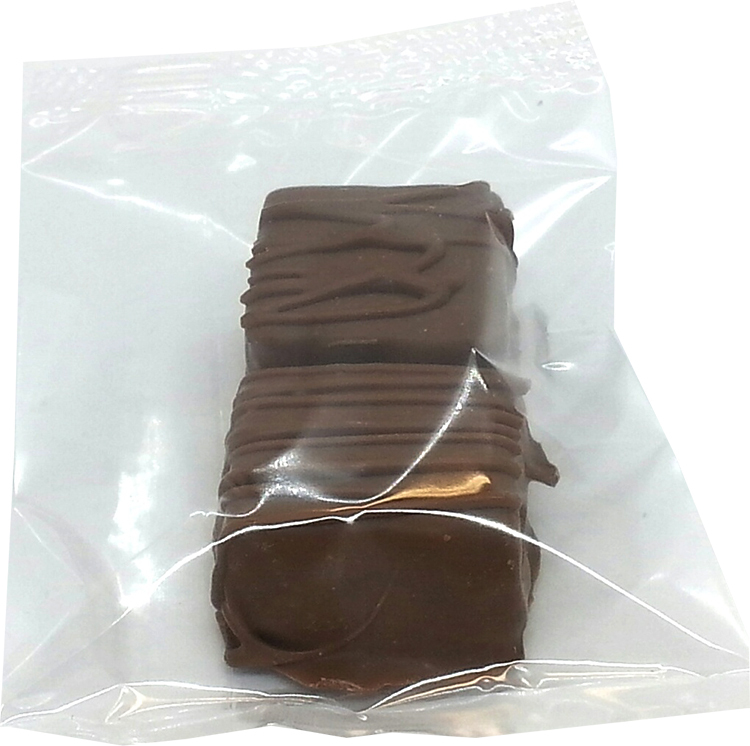 clear cello bag filled with 1 handcrafted milk chocolate candy covered "snapper" pecan and caramel cluster. Similar to DeMet's Turtles. Made fresh to order in our confectionery kitchen. Bag is heat sealed to ensure quality. Includes up to 4 color process imprinetd label..